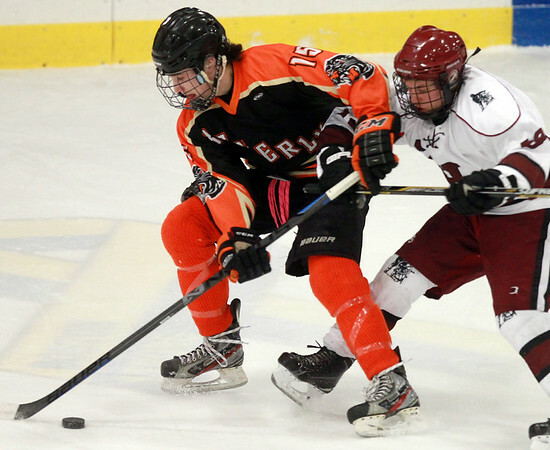 Beverly senior captain Jesse MacLaughlin (15) spins away from Gloucester senior Brian Bos, right, while trying to keep control of the puck. DAVID LE/Staff photo. 2/4/15.